–Pressels Pretzel Chips ($1.29) – A yummy snack perfect for any Summer party. –Wild & Wolf Ridley Games Who Am I? ($13) – A fun card game to play at Summer get-togethers. –Pacifica Underarm Deodorant Wipes ($9) – I love these freshening underarm wipes for those inevitable sweat-filled days. –Hat Attack Neutral Diamond-Printed Sarong ($58) – This lightweight piece doubles as scarf and a sarong that I can wear at the beach. –NCLA Born on the 4th Nail Lacquer ($16) – Just in time to get my nails all festive for the Fourth of July! –Knock Knock Are You Ready (For Your Close Up?) Compact ($10) – A cool little compact with fun messages on the outside and inside. –Sisters of Los Angeles ‘CHEERS’ Bottle Opener ($12) – A sleek gold bottle opener that slides easily into your bag. 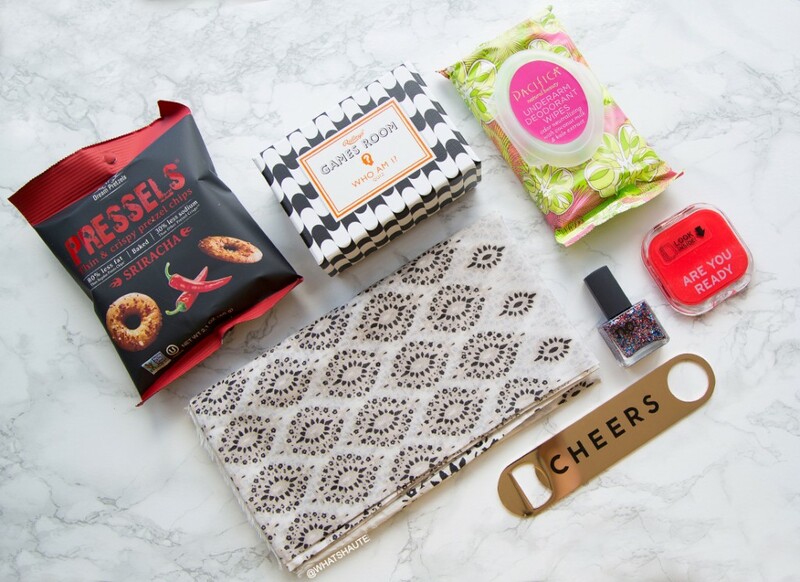 Have you ever bought a POPSUGAR #MustHaveBox? If not, get your hands on the July box (valued at over $100) now, for only $39.95! Or, pick up the Must Have MINI Subscription for only $18.95 and get a taste of Summer, all in one box!